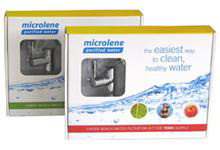 Have purified water in your kitchen at the flick of a lever with beneficial minerals and elements retained while reducing unwanted contaminants like chlorine, pesticides, rust and asbestos. Medical Grade Polypropylene Filter Discs offer multi barrier protection by firstly blocking particles 10 micron and larger and again at the end of the process by blocking particles 1 micron and larger. The process of adsorption occurs in between whereby contaminants are bound to an adsorbent particle surface by either chemical or physical attraction and finally delivered to you fresh and pure through a high quality polished chrome tap.